Many entrepreneurs offer free products to help increase their customer base and encourage consumers to buy a premium product. Called “freemium,” these free products may sound like a good marketing strategy, but it may not be entirely effective. Freemium makes customers hesitant to purchase the product initially. 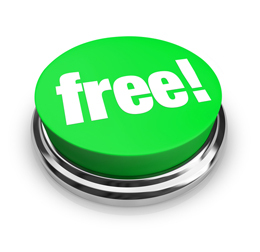 Many companies that offer freemium find that less than 2.5% of their customers buy a premium version. This model can discourage customers from buying the product upfront. Freemium can hurt a business brand. Most of a business’s users are probably going to be using the freemium version. When people ask them what they think of a product, they will give the opinion of someone using the lowest quality version of a product. These reviews may ruin a business’s opportunity to find paid users. Free users can cost a company a lot of money. Some freemium products require you to store data on hundreds or thousands of customers. You may also have to pay for their bandwidth if they are frequent users. Your customers may actually become a cash drain rather than a revenue source. Business-to-business clients often don’t respond to freemium. Businesses have larger budgets and are usually more interested in getting a return on their investment than getting a product for free. Most of them would probably rather buy a quality product than waste their time using one that doesn’t have all the features they need. Freemium products need to be similar to the premium versions. Customers are likely to get frustrated if they have to transition to a new platform with new requirements after purchasing the premium version. The last thing you want to do is reduce your customer satisfaction by making the premium version more difficult to understand or force them to have to get used to a new system. Freemium is more difficult to market. Many of the sales that companies make online are through paid ads and affiliate marketing. It can be very expensive to offer a number of paid ads only to receive customers who won’t pay for your products or services. Affiliate programs typically don’t work as well either, because affiliates are not going to be paid for most of the traffic they refer. Freemium can be a great tool for businesses, but before you commit to using freemium, you need to understand your business model and how your customers are going to respond to it—so do your homework. You are in business to make money, so you want to be careful how many of your products and services you end up giving away for free. Read the latest BNET article from co-founder David Hauser about Chargify and the freemium pricing model.